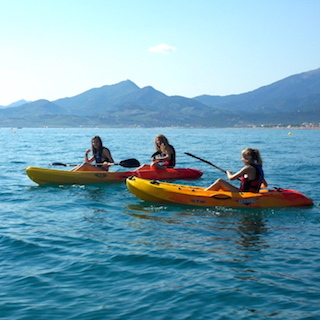 Here comes the water sports rentings of our beach club of Argeles-sur-mer, Pyrennées Orientales (66). 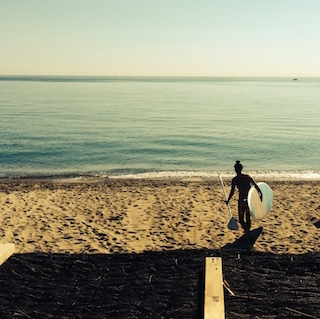 You can rent stand up paddle in our club. It is a very trendy sport which muscle you harmoniously and make you find your balance. Our teachers are here to give you the best advices to practice this sport. The minimum required is to be able to swim. 30 minutes: 11€ per person. 1 hour: 17€ per person. 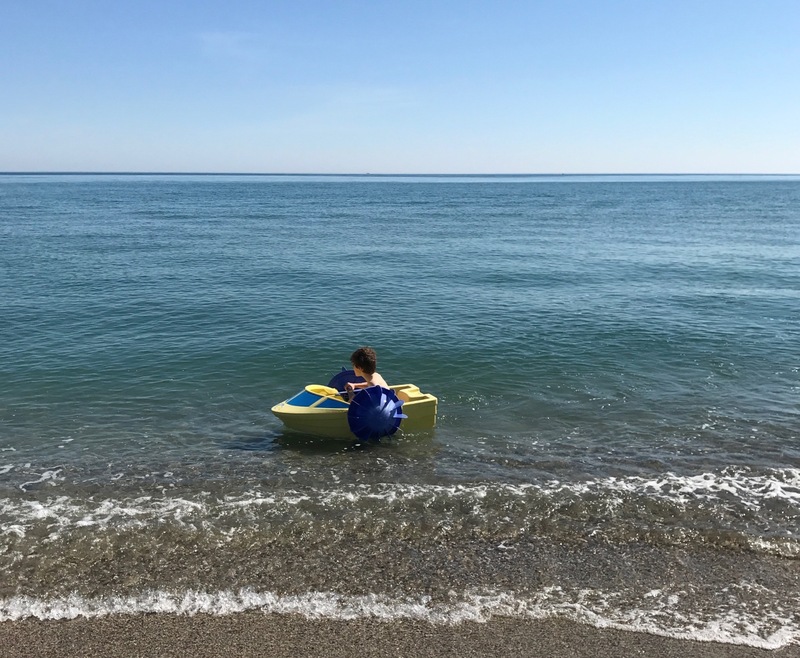 The pedal boat with slide is the best partner for your day on the beach, in family or with friends, to go in the sea or just to have fun in safety. 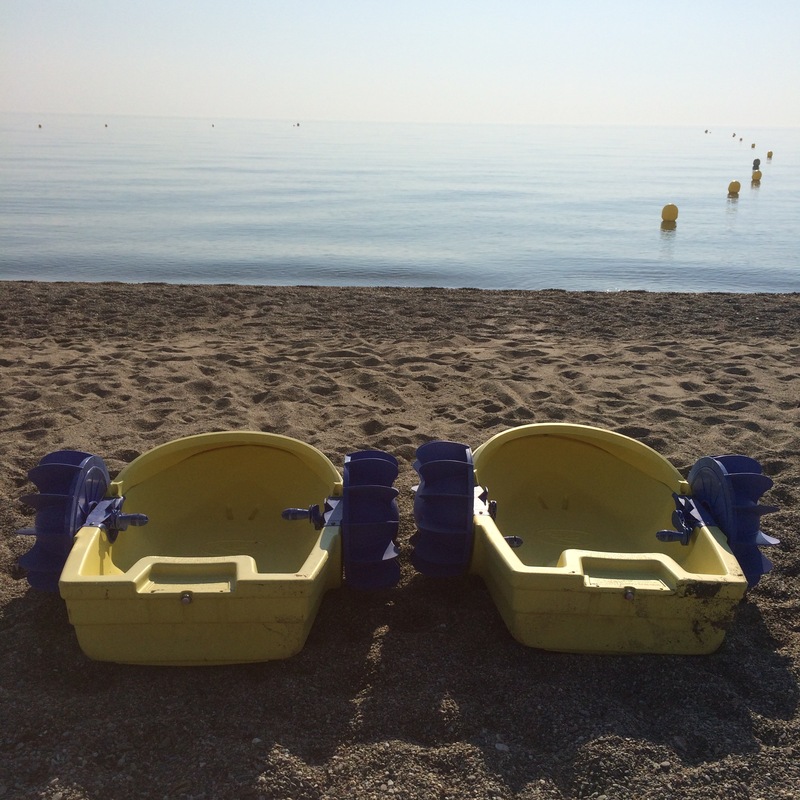 You can rent a mini hands-wheel pedal boat for the youngest! It is surely the most playful boat we can find! A life jacket is included. From 5 to 12 years old. 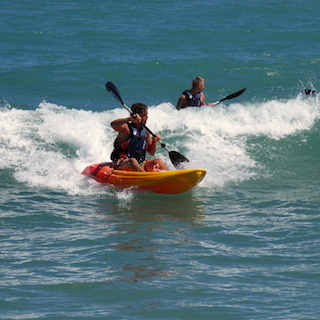 You can rent kayak for one person or two. The minimum required is to be able to swim! On a stroll way or on a sportive way under weather conditions. 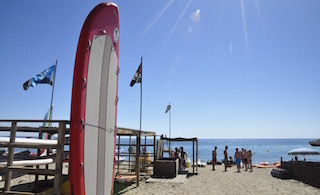 We also have two giant stand-up paddle in which you can be 9. If you are in a group or in family and you want a lot of fun: it is exactly what you need. 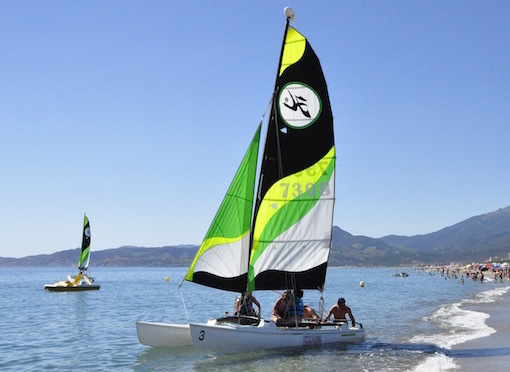 If you know how to sail, you can rent sportive catamarans hobiecat 15 in our club, under conditions. You can rent neoprene rubber shorts and harness, as well. 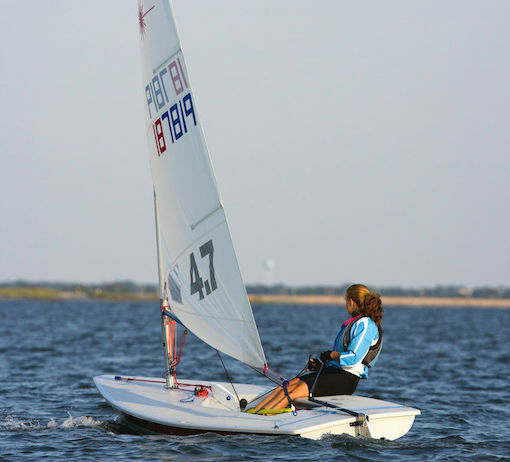 We propose the renting of a n individual sailing dinghy, the laser. 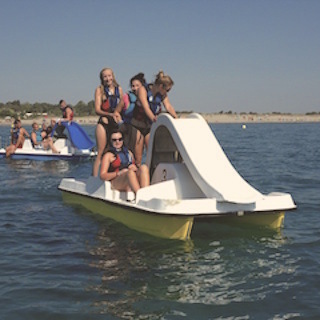 Ideal to improve your sailing skills and to have sensations! 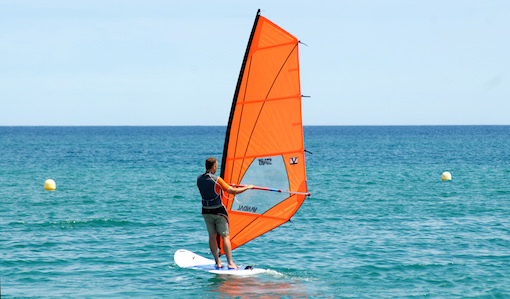 We rent windsurfs for all levels of skills. We have all facilities appropriate for all age bracket. You can rent neoprene rubber shorts and harness, if you need.